Use CheckPrixa UPC Barcode Generator to add an UPC or EAN retail barcode to your product. After obtaining the UPC numbers for your products from the global registry GS1 (www.gs1.org), you will be able to encode these numbers into barcodes seen in many supermakets and retail stores. UPC (Universal Product Code) is used widely in USA, UK and Australia, while EAN (European Article Numbering) is used in Europe, Japan and many countries throughout the world. CheckPrixa UPC Barcode Generator is designed to produce high quality images for the following barcode symbologies : UPC-A, UPC-E, EAN-8 and EAN-8. These images may be inserted into office suites and desktop publishing softwares such as MS Office, and Adobe InDesign for further print processing. The tool will automatically calculate the checksum and append it as an extra digit to the data as dictated by the barcode specifications. 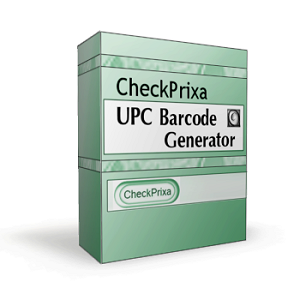 CheckPrixa UPC Generator is the ideal tool for UPC / EAN barcode production. The highly responsive interface updates the barcode whenever a digit is changed and lets users generate barcodes with confidence, understanding and ease. 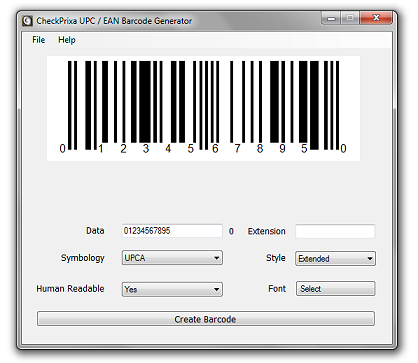 UPCA, UPCE, EAN8 and EAN13 Retail Barcode Generator. Extension Digits 2 or Extension Digits 5. Generates images in PNG, JPG, TIFF, BMP, GIF and WMF format. Usage is trivial. No learning curve. Ability to specify barcode dimensions. The following lists a few barcodes generated by CheckPrixa UPC Generator. 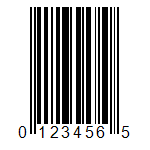 UPC-A (Universal Product Code) is a 12-digit retail barcode used in USA, Canada, UK, Australia and New Zealand. The values are all numeric, and the last digit is a check digit computed from the data. 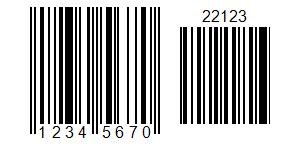 UPC-E is another form of UPC that encodes a lesser number of digits for data. Due to the small barcode size, it can fits into a smaller product or packaging. EAN (European Article Numbering or International Article Numbering) is a barcode symbology used widely in Europe and Japan. It is quite similar to UPC, except that it adds a prefix and encodes a total of 13 digits instead of 12. 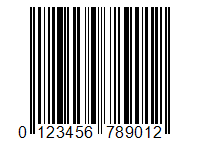 Barcodes encoded in EAN may also be successfully read / accepted by many scanning systems in USA. EAN-8 is the 8-digit variation of EAN used for smaller items. CheckPrixa's implementation allows user's specification of extension digits in addition to the UPC / EAN number. The extension digits may be used to encode extra information such as suggested retail price. This license allows the use of the software by everyone in your organization. Note: The Demo version will place a "DEMO" watermark in the center of the barcodes produced. To remove the watermark, you will need to purchase the full version from the links above. COPYRIGHT (C) 2011 - 2018, MICRE13B.COM. ALL RIGHTS RESERVED.